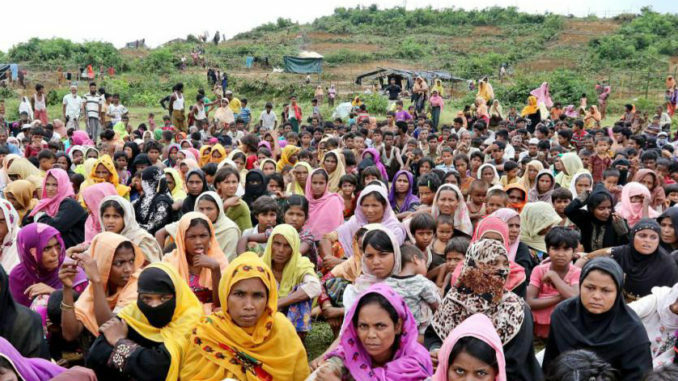 Ten Rohingya’s discovered in a mass grave were ‘innocent civilians’ and not members of the Rohingya Muslim insurgents group (ARSA), the ARSA claimed. The Arakan Rohingya Salvation Army (ARSA), in a Twitter message had stated that the Rohingya civilians found in a mass grave had no connection with the ARSA. ARSA’s raids against security forces last August sparked military operations in the Muslim majority northern part of the troubled Rakhine state. Earlier the Myanmar military had said that their soldiers had killed 10 arrested muslim terrorists during insurgents attack in September. The Buddhist villagers had forced the captured men in a grave that the villagers had dug. The Myanmar military could not be reached on phone.